My little sister Amie is sooo creative:) Look at her awesome Halloween Costume! 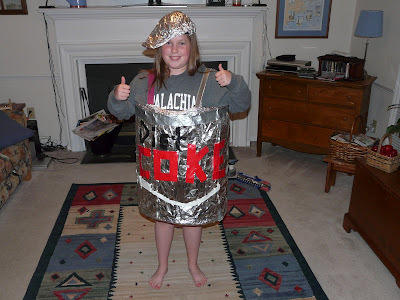 She is a diet coke can, it was all her idea too! I miss her!!! I haven't written in awhile, but that does not mean there hasn't been a lot going on. Actually, I have been very busy with all kinds of stuff both at work and in my social life. I just started leading more groups at work, so every afternoon is packed with those. It's nice to have more one on one or small group time with the kids so I am enjoying that. I have to work really hard in the morning to get everything done before the afternoon comes but it's nice to be busy. Last night, we had a going away party for one of our kids, T, who is moving into our foster care program. 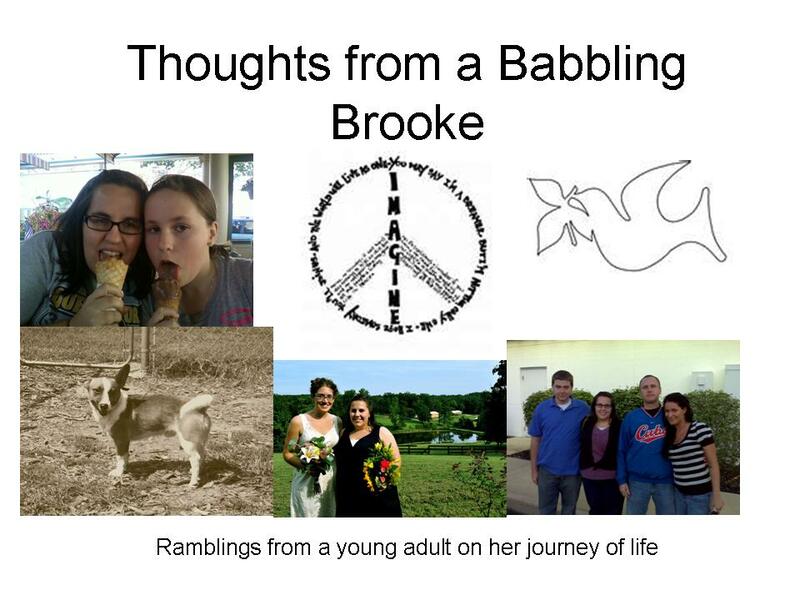 It was sad, because I have gotten to know her and will miss her. Last night she walked the labyrinth at our Chapel service and it was really meaningful. I even teared up. It is a wonderful idea to have our kid do this before they leave, because all the kids and staff surround the labyrinth and hold candles and the child leaving enters the labyrinth and we talk about their journey while they are here. Then when they arrive in the center, we hold our candles towards the child and say a prayer to bless them on their new journey once they leave Cunningham. Then they walk the labyrinth in reverse to begin their new journey. It' really a beautiful moment to witness. Today, I attempted to go and vote early but it was going to be a 3 hour wait...so I decided I would vote on Election Day instead. But I am so glad lots of people are going out to vote! Also today we had a Halloween party for Cunningham kids and it was so much fun! I dressed up as the "Wicked Witch of the West". The kids had amazing outfits and just had me laughing the whole time. Today made me realize just how much I love my job. This weekend I will have more time to reflect further!